Comic-Con's Most Pissed Statue? The God of War! For the serious God of War fan, SideShow Collectibles offers a Kratos that's more detailed, more massive and clearly more seething with Spartan rage. To wit, it's also much more expensive than DC Direct's Kratos action figure. 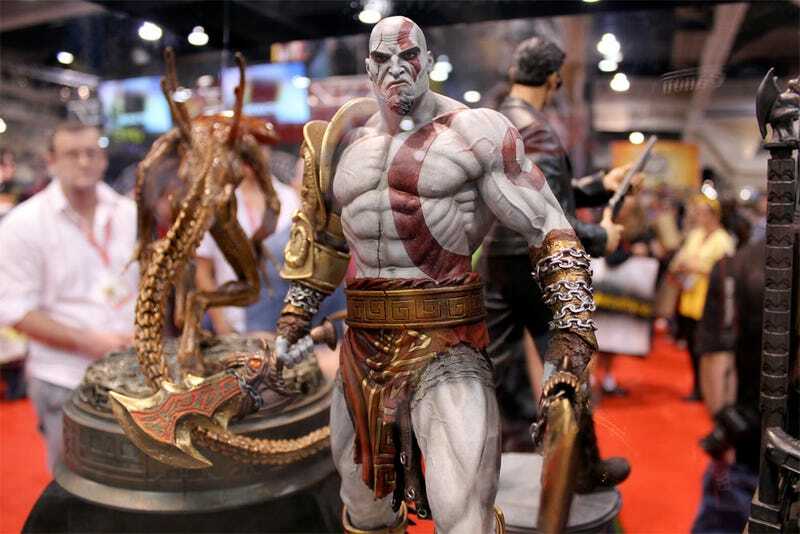 On display at SideShow's Comic-Con booth, always an impressive stop on the show floor, this polystone statue featuring the God of War and his hefty blades will set you back $249 when it ships this later this year.